Back in 1862, two French perfumers, Roger Armand & Charles Gallet, became famous for creating the world’s first recognised Eau de Cologne. 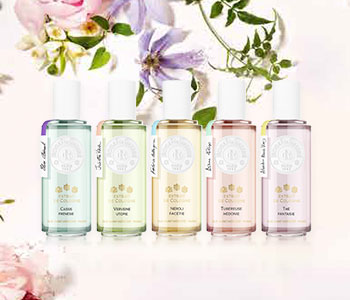 Re-imagined with a contemporary modern day feel, the Roger & Gallet Extrait de Cologne collection gives the classic cologne a new, invigorated identity. Redolent of incredible freshness and impeccable intensity, each Extrait de Cologne has been blended by an expert perfumer, creating their own magical story of wellbeing. Created with a minimum of 85% natural origin ingredients, customise your mood with the unique Extrait de Cologne collection.